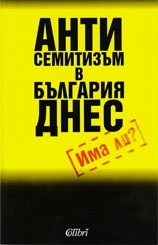 This book contains one-year researches on antisemitism in Bulgaria. The main purpose of these researches was to record the anti-Semitic manifestations in present-day Bulgaria on which grounds to be determined the extent of this phenomenon. Alfred Krispin was a prominent Bulgarian journalist and human rights activist. He worked for nearly four decades as a reporter and editor at the Bulgarian news agency BTA. Between 1965 and 1971 he was the agency's correspondent in London. After his retirement, Krispin devoted himself to human rights issues and problems of the Jewish people.